Searching for “iPhone 3G” on Craigslist SF bay area in the electronics section reveals that iPhone 3G owners everyday are parting with their Apple smartphones. Why? A simple crunch of the numbers reveals a sharp divide between the price of the iPhone while in an existing contract versus the prices of new 3GS iPhones with new two-year AT&T contracts posted all over Apple’s Web site. It is precisely this divide that may be leading existing iPhone 3G owners to turn in their practically-new phones for the new, speedier 3Gs iPhone, and earn some easy cash at the same time. More surprisingly, it appears - on the flip side - that people are paying upwards of $300 for these old-generation products. What gives? As it turns out, the contract is the issue. Comparing the iPhones currently available for purchase through Apple, one is faced with three options. Opting for the new version, the iPhone 3G S, one can pay either $199 for the 16GB or $299 for the 32GB. 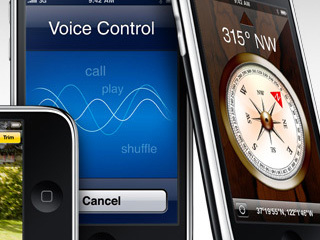 The previous generation 8GB iPhone 3G is offered at the misleadingly inexpensive price of $99. Remember the required two-year contract? The most basic AT&T contract with mandatory data plan runs each new customer about $80 a month, according to AT&T's Web site. Though the 3G service is pretty nice to have, some people just can’t afford it. This is a whole community of people who would love to own an iPhone, but just can’t afford the service that comes with it. If they could just buy the iPhone without the service, they can be sneaky and activate it through another service provider. On top of this, imagine the enormous community abroad that wants to activate their iPhones on international providers. Well, why not buy an iPhone from Apple and bypass the contractual obligations? Try adding $400 to each of the prices listed above. For $499, $599, or $699, anyone can order a brand new iPhone, free of contractual obligations. Or, as many people seem to be doing, one can look over Craigslist and other listings for iPhones being sold at around the $300 price tag, $200 below the bottom-of-the-line product from Apple directly. Current iPhone 3G owners sell their current phone for about $300 and promptly run to the Apple Store to get an iPhone 3G S, as if they were renewing their plans and paying the lower price for the phone. Meanwhile, someone else is happily playing with their practically new iPhone 3G, acquired for well-below what Apple’s charging. Everybody wins. Urr, except maybe AT&T.